tee grizzley VIDEO Tee Grizzley & WeBuyGold team up for "Mr. Grizzley's Magic Wraith"
Tee Grizzley & WeBuyGold team up for "Mr. Grizzley's Magic Wraith"
Detroit rising star Tee Grizzley has teamed up with Instagram-first brand WeBuyGold for their new animated series "Mr. Grizzley's Magic Wraith." 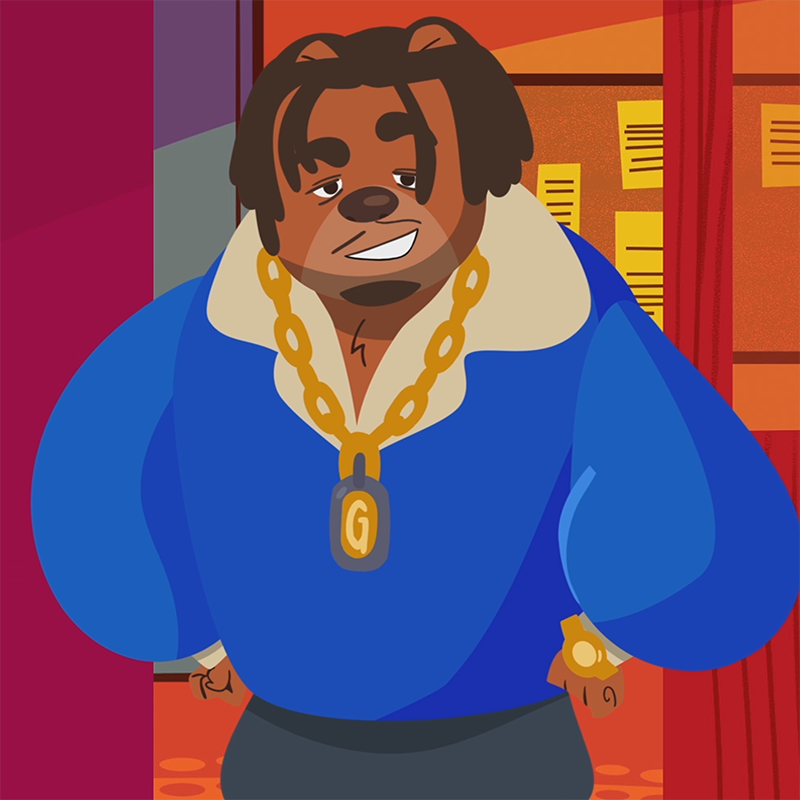 The show follows Tee voicing the wise "Mr. Grizzley," a teacher and loveable bear, leading a classroom of misfit teens from the jungle on educational and extra-trippy field trips. Fans can expect to be inspired by Mr. Grizzley's commanding presence as he shares invaluable life advice with his students and the viewers at home. Grizzley is no stranger to virality, given his rise this past summer fueled by his single "First Day Out" being the soundtrack to the "Lebron James Challenge", which had LBJ in the gym using the song as motivation. Everyone from Steph Curry to comedian DaKidGowie joined in on the fun with hundreds of millions of views following. "Mr. Grizzley's Magic Wraith" will also introduce fans to Tee Grizzley and 300 Entertainment's release of new music in the coming months with hidden surprises and hints to what is to be expected along the way. "Mr. Grizzley's Magic Wraith" premiers today on WeBuyGold's Instagram and will run for 6 weeks with a new episode premiering every Wednesday. Tee Grizzley will also be on tour with Jeezy throughout February and March, full tour dates and tickets below.